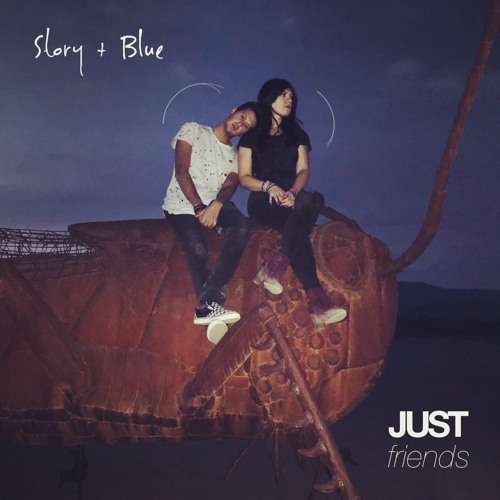 Following the release of their smooth, dream-like single Don’t Tell Anyone, Los Angeles-based indie-pop duo Story & Blue, comprised of songwriters Tova Litvin and Tyler Shamy, are back with their brand new single Just Friends. This song contrasts with its predecessor as being more upbeat and brighter. Their honeyed vocal harmonies are impeccable as always, super smooth and captivating. In Just Friends they showcase their storytelling abilities and deliver a catchy piece of music with a touch of soul, great harmonies, and a very infectious pop hook. Stream it below!